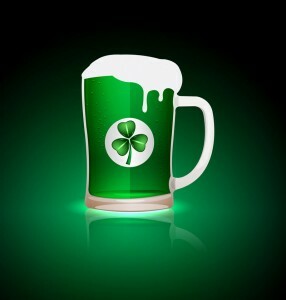 St. Patrick’s Day is one of the most beloved holidays of the year. But, it’s also one of the most dangerous. While everyone loves to dress up in green and drink a green beer, you should also know when to say when and when to call a cab. DUI’s and traffic accidents can feel like something that happens to other people. But don’t be naive; DUI’s can and do happen to good people, all the time. In Pennsylvania, for an average woman, as little as 2 beers and a shot can put you over the limit. See the BAL calculator here. And if you’re under 21, the BAL limit drops from .08% to .02%. That’s equivalent to 1 light beer. What If Children Are In the Car? If you have children in the car, Aggravated DUI and Child Endangerment (felonies in most states) charges are likely. Yes, for 2 or 3 drinks. Probably the least of your worries but a costly side-effect, none the less. It’s likely that your insurance premiums could triple and, in many states, you’d have fill out an SR-22 form, as you will be considered a high-risk driver. For your peace of mind, don’t put yourself in a position where you would have to drink and drive. Plan ahead with one of these great options. Professional Driving Service – some services will even drive you home in YOUR car. Just Google “designated driver” to find a service in your area. Designated driver – a designated driver doesn’t have to be someone you’re going out with. Ask a friend, family member or neighbor. You may be surprised how happy they would be to help keep you safe. Walk. Many of us in the suburbs never consider walking but there is probably a good bar or restaurant within a mile of your house. That’s only a 15 minute walk. Check out Yelp, they have a Distance filter that will show you all the restaurants or bars within 2 miles, 1 mile or 4 blocks. For more information on car insurance in Pennsylvania, please contact us today!